This dashing race car driver always arrives on time. 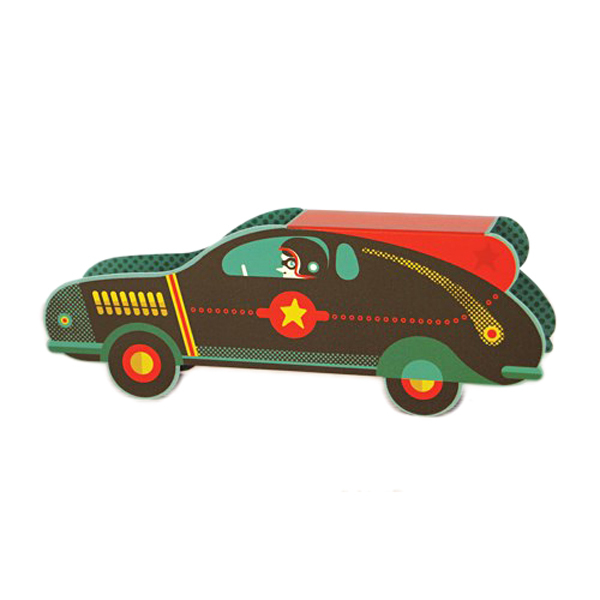 Die cut Racer by Tom Frost. This colourful and eye-catching robot is a perfect way to send greetings to any robot enthusiast. Die cut Robot by Tom Frost.